Home Full Timing	Why Do People Live in RV’s Full Time? What inspires them? What influences them? Our “Why Do We RV” story begins with being inspired by others journeys (like Bold and Adventurous – who I’ve had the pleasure of knowing for a few years). We are still always interested in the ‘why” of others – “Why did they decide to live in an RV”? 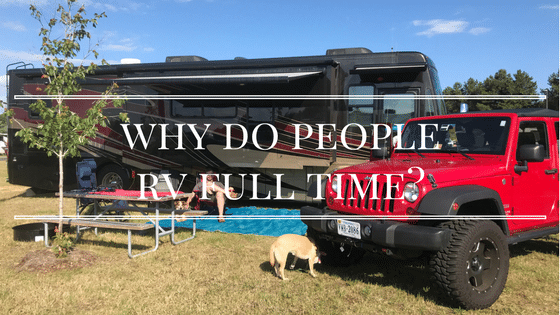 So when the good folks over at The Wandering RV put together a list titled 20 Full-Time RVers Share Their Stories of Why They Decided to Live in an RV, we had to check it out! Michelle from Making Sense of Cents – who has been an inspiration to me and many others as she has grown a millionaire dollar business while RV’ing on the road. She is super smart! Chris and Cherie from Technomadia – who are the go-to on Mobile Internet connectivity for RVers (and boaters!) They’ve literally guided a lot of us with their knowledge and research to allow us to work from the road. Marissa and Nathan from Less Junk More Journey – have one of the most followed RV vlog on YouTube. They are just down to earth, relatable family who share the ups and downs of RVing with a touch of humor. We watch their videos religiously! Alyssa and Heath from HeathandAlyssa.com and the RV Entrepeneur Podcast. These guys are great leaders in the younger RVing community, rallying fellow RVers for summits, events, and general RV knowledge. There are many others who have helped influence us over the past year or so. We will go in to more detail in an upcoming post on those folk as well as more depth in to our own story. 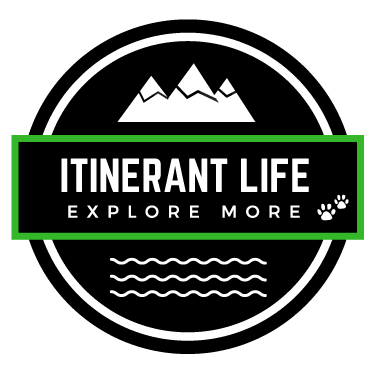 In the meantime, check out the post from The Wandering RV – and perhaps find your inspiration to live your itinerant life.